A topic of conversation I have heard popping up a lot recently are soft scores at Tournaments. Some of you may not be very familiar with what soft scores are, but I personally think they are very important to the hobby scene. So what are soft scores and why do I think they need to stick around? I guess first things first, what are soft scores? Soft scores are the elements of a tournament's scoring system that's not just about beating face on the table. They include things like a painting score and a sports score. So instead of the overall winner just being the person who played the best, other elements are included as well. This is done for several reasons, all of which I think are hugely beneficial to the tournament scene overall. The painting score is done differently at every tournament, but generally there are some basic requirements you need to meet. For example, at Adepticon you could score a maximum of 25 points based off of things like being fully painted, based, having a display board, having conversions or free hand, or being neat and tidy with your paint job. There are more than 25 points you can earn, so if you aren't able to score in one category, such as conversions, you can try and make up for it in another, like a display board. One of my favorite things about going to tournaments is knowing that I will be playing against fully painted armies only and I will get to see a bunch of cool paint jobs I normally wouldn't get to see. Having only fully painted models on the tables does a great job at promoting our hobby to. 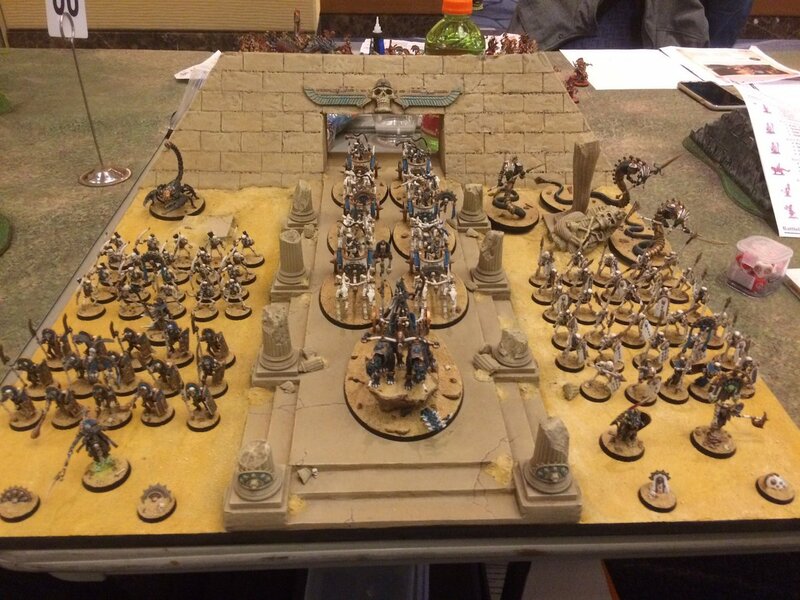 If people walk by and see two painted armies facing off against each other on a fully painted table with cool scenery, they are way more likely to become interested in the game. This is vital to recruiting new people to the hobby. Without having paint scores included in the overall tournament rankings you run the very high risk of people showing up with bare plastic models. If all they care about is winning what's to stop them from buying the newest king of the meta a week or two before and bringing it along unpainted. This is something that you can already see happening in other game systems, and I wouldn't even stop once to take a look at their games if I walked by and saw bare plastic on the table at a tournament. That to me says you only value one aspect of the hobby. Sports scores are equally important. 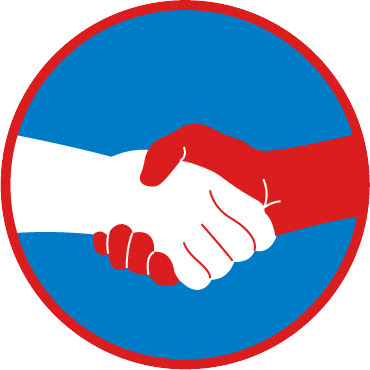 Though everyone I have met and played against have been fantastic people, that doesn't mean that there aren't people out there who would like to play our games and have no interest in playing nice. Besides just being rude or not fun to play against, you are much more likely to see people trying to bend the rules or just outright cheating. Though they may be in the minority, there are definitely people out there who would try and game the situation. Why shouldn't you try and be nice and be rewarded for being nice? This game is about more than just you having fun. It isn't a video game. You're playing on a table against another real human being, and it's part of your responsibility to make sure they are enjoying the game too. You don't want to turn people off from the hobby because they played against someone who was a jerk. 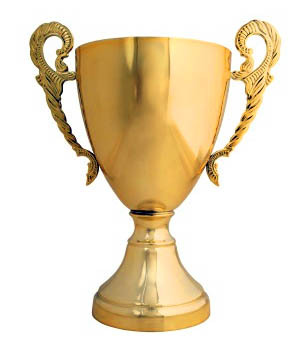 By including soft scores into tournament rankings you are ensuring that the person who wins overall isn't just the best general, they are the best hobbyist there. They had, at the very least, a decently painted army, were a fun person to play against, and still managed to beat face. To me that says way more than a trophy for just playing the best ever could. There have been a few conversations popping up recently about maybe disregarding soft scores at certain tournaments, and I think that's a huge mistake. The major tournaments out there, the Adepticons, LVOs, SCGTs, and so on, need to be the lighthouses for our entire hobby, not just the gaming side of it. They are the most visible elements of competitive gaming to anyone who enters the hobby, and they need to show that yes, we value these other parts of the hobby just as much. I'm not saying these tournaments were thinking about dropping soft scores either, by the way. They are just the largest tournaments I can think of for a good example. Now, I do think there is definitely room to weight the scores of the soft scores however you want, and that's up to each TO. If they want it to be less important to the overall winner or more important, that's totally their prerogative. Although I do think they should at least be incorporated in some way or another. 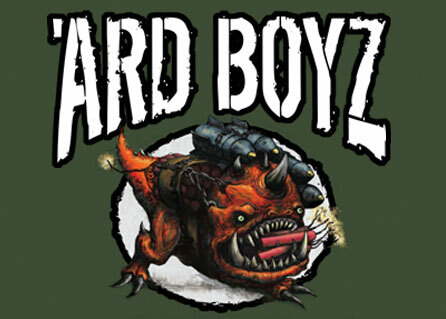 I also think there is room for tournaments that have no soft scores at all, like the 'Ard Boyz tournaments that GW use to run. That was all about winning and featured grey plastic armies aplenty. These need to be advertised as such from the get go though, and I don't think they should replace the major tournaments out there. I wouldn't play in something like that, but there are people who would want to, and there's nothing wrong with that. 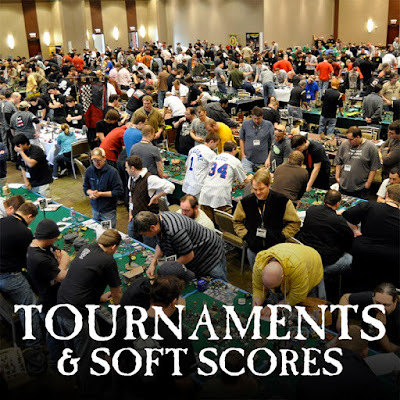 If tournaments want to continue expanding the player base of their games, whether it's AoS or 40k or whatever, including soft scores creates a more inviting atmosphere for the wider hobby community. Though competitive gamers are very visible there are most likely way more casual gamers out there who just enjoy painting, collecting, and playing games with their friends. The tournament scene is a terrific place, full of awesome people, and great events, and I just want to ensure that more people come and join it. What are your thoughts on soft scores?